While urban and suburban communities offer some resources for individuals in the LGBTQ community, support for young people in Maine's less populated areas can be scarce or difficult to access. Growing up is not easy. But for Maine’s rural LGBTQ youth, it can be even harder. 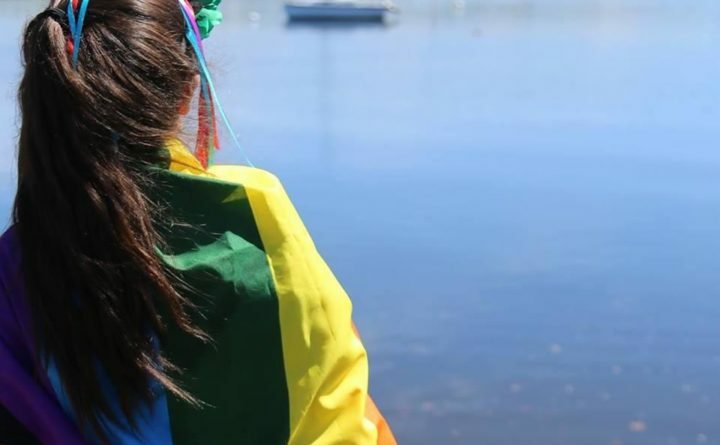 While urban and suburban communities offer some resources for individuals in the LGBTQ community, such as annual pride parades and support groups, help for young people in Maine’s less-populated areas can be scarce or difficult to access. Some of the state’s rural schools are taking meaningful steps to change that. In recent years, the Maine Integrated Youth Survey, administered in more than 300 schools, began asking students questions about sexuality and gender identity. The results found that LGBTQ students are significantly more likely to be bullied and twice as likely to feel unsafe at school — and they are four times more likely to consider suicide. Groups such as OUT Maine and EqualityMaine offer a variety of services to help LGBTQ youth. But for students living in rural areas, sometimes the only network of in-person support available is at school. The most recent survey from the Gay, Lesbian & Straight Education Network found that Maine schools were not safe for most LGBTQ high school students. About 56 percent of students surveyed said they had experienced at least one form of anti-LGBTQ discrimination at school during the past year. Now, some schools in Maine are responding to those concerns. Mount Desert Island High School was the first public high school in Maine to establish a Gay-Straight Alliance, or GSA, in 1997, an approach that has proved successful elsewhere. “If they’re not worried about their safety and nervous about whether or not they’ll be made fun of, they can concentrate on their classwork,” said Lin Gould, who teaches science at the high school and serves as the school’s GSA adviser. A study from the University Of British Columbia found that schools with a GSA for three years or longer experienced a 50 percent reduction in bullying and harassment for all students. In schools with the program, and anti-homophobia policies, all students were less likely to experience discrimination, and students were less likely to have suicidal thoughts or attempt suicide. MDIHS has about 527 students enrolled in grades nine through 12, and Gould said that around 20 to 25 students attend an average GSA meeting. The GSA hosts movie nights, and takes on projects such as Transgender Education and Awareness Week. But Gould said much of the impact and value of the group can be seen in other, more subtle ways. In addition to the GSA, Gould says MDIHS works continually to recognize and eliminate discrimination. “There’s a lunch program where the kids have to have their legal name, so for a kid who is transgender, having their dead-name show up every time they go through the lunch line can cause a really intense reaction, and in some places kids just won’t eat lunch because they don’t want to have that reminder,” Gould said. The MDIHS bookkeeper figured out how to work around the computer program so students can use their chosen names, Gould said. “[The bookkeeper] spent a lot of time working on that problem because she was aware of the problem, because she knew specific kids and she knew how much it meant to them,” Gould said. Despite this progress, Gould said Maine schools have more work to do on the issue. Still, the strides that MDIHS has made show that rural schools are stepping in to fill the support gap their LGBTQ students often face.